The Collingwood Trunk is the first variation that we’ve made of the Collingwood Falconer’s Kit. The trunk has a top opening lid with 3 removable boxes with storage underneath and two drawers. The trunk is clad with hand-stitched leather, trimmed with oiled walnut, darkened brass hardware and lined with felt. 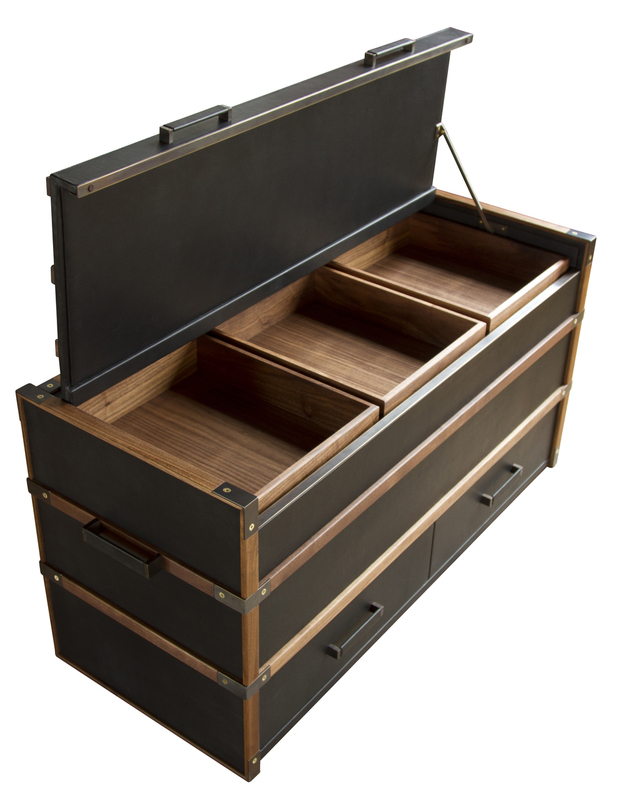 The Collingwood Trunk can be made in other configurations and to custom dimensions.